Travis, StarSailor, Oasis, Elbow, The Thrills and Coldplay are among those doffing their caps to you know who in a new edition of UK magazine UNCUT LEGENDS. Bono on Tutu and Mandela and the new South Africa, in a special edition of Dazed & Confused. 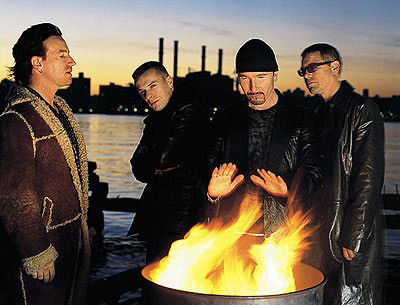 Anton Corbijn blogs on the fan snaps in Rolling Stone of his recent U2 shoot.